Home About How IRRO Works? 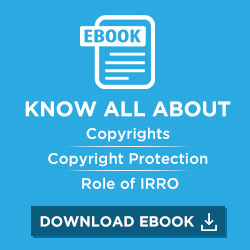 IRRO represents the rights of owners of literary works and provides licenses to content users on the behalf of its creators. Accepting mandate from an owner of rights for exclusive authorisation to administer any right in any work by issue of licenses and collecting license fees. Issuing blanket licenses to organisations. The licenses are issued on an annual basis subject to an annual fee, which covers copying throughout the year (eliminating the need to seek permission every time you want to copy!) and includes indemnity from IRRO from all copying done within the T&C of the license. Collecting data from various surveys or other data collecting techniques, and then preparing a distribution scheme based on collected data. Distributing license fees as per its distribution scheme to the rights owners, subject to a deduction not exceeding 15% of the collection on account of administrative expenses incurred by the copyright society. Entering into a bilateral agreement with any foreign copyright society, collecting license fees and distributing these to Indian rights owners as per the distribution scheme.